Red Couch Recipes: 4th of July Tablescape and X is for Kiss Cookies and Love of America! 4th of July Tablescape and X is for Kiss Cookies and Love of America! Welcome to Tablescape Thursday and Alphabe-Thursday where the letter of the week is "X." 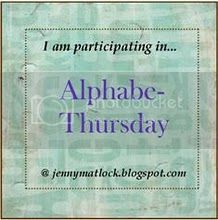 The letter X has proved to be the hardest assignment for Alphabe-Thursday! But wanting to maintain my A plus in Mrs. Matlock's class, I DID come up with a recipe for this week! In Chinese, the word for cookies is "xiaodianxin." In English, the symbol at the end of letters is "X" for kiss and "O" for hugs. I also made kiss cookies because I love them and, OF COURSE, I love cookies (AND KISSES) in general. I also love America and I love celebrating the 4th of July! Is that enough KISSING AND LOVING FOR YOU?? The recipe for the peanut butter kiss cookies is at the end of my post. 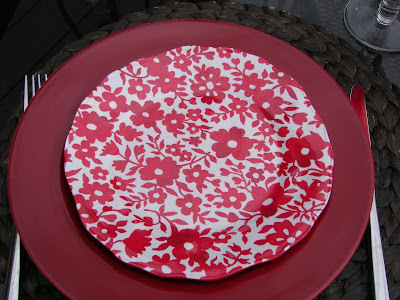 I began the tablescape with a red and white floral plate, and plain dinner plate, both from Wal-Mart. I added bandana napkins and the SUPER CUTE "Style Sisters" napkin ring holders! 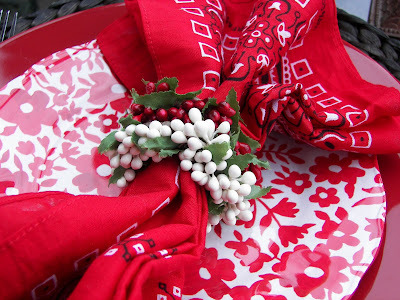 I love them and I totally copied using bandanas and Napkin Rings from Karin at the Style sisters! Thanks Karin! I am sure you can purchase some at Style Sisters. We are out on the deck today. Peeking in the back is a water dispenser new to me. I bought this at Tai Pan Trading, a local store. Come have a sip of lemon water. It is a hot, humid day out. I have slipped a few blueberries in for color. I love lthe red and white plates. To me, they just add so much to the table. Make sure you grab some cookies and some lemon water on your way out. Don't forget, the recipe for the cookies is at the end of the post. Thanks for dropping by and I wish you the best 4th of July! Peanut Butter Hershey Kisses Cookies for the Letter "X"
Cream sugars and margarine. Beat in egg. Add milk, peanut butter and vanilla. Mix in dry ingredients. Roll into balls,walnut-sized, and roll in sugar. Bake at 375 degrees for 9-10 minutes. When cooked, lightly press Hershey kiss in the middle. 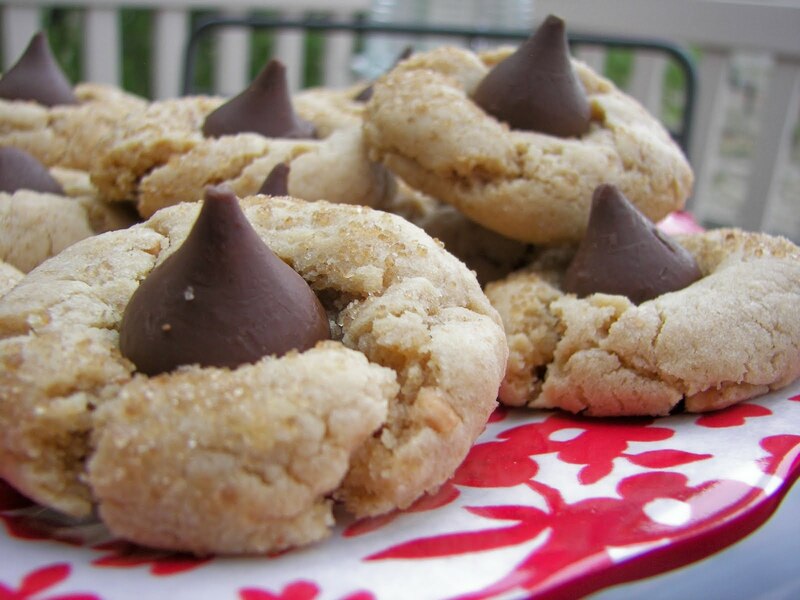 Make sure you put Hershey's kisses on after the cookies are baked and cooled. Make sure you roll the dough in sugar before baking! I am posting this with Tablescape Thursday and Alphabe-Thursday. I wondered what you would do for X. Very clever. Have a wonderful 4th. 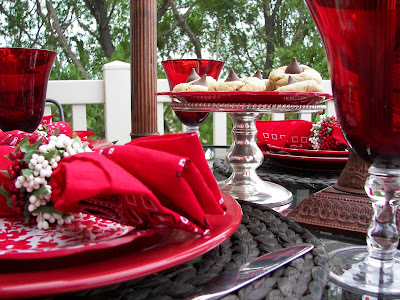 Your reds are just gorgeous and I love the bandanas and napkin rings. You lucky girl. Have a wonderful 4th of July. ps Those are some of my favorite cookies. pps We are tired of fighting over Kirk's computer, so we got one for me tonight - blogger heaven! Let me try this again! Sorry! I love your table. The red and white is awesome. I have some of those napkin rings from Style Sisters and I love them. That drink dispenser reminds me of a bee hive. I would love one like that. Love how you used your X for cookies and Kiss!! Very pretty, I love your beverage dispenser, it reminds me of a bee hive-enjoy! Those are truly my favorite cookies....YUM! Great table scape you have, awesome photos too. Love the drink dispenser. Yummy! Love kisses and the cookies look great, love your beehive drink holder. My husband just came in and messed up my thoughts! Your table is so pretty! That red just steals the show! Very yummy looking cookies too! Your tablescape is beautiful in red. I love the wine glasses or whatever they are. I love the deep red color in them. 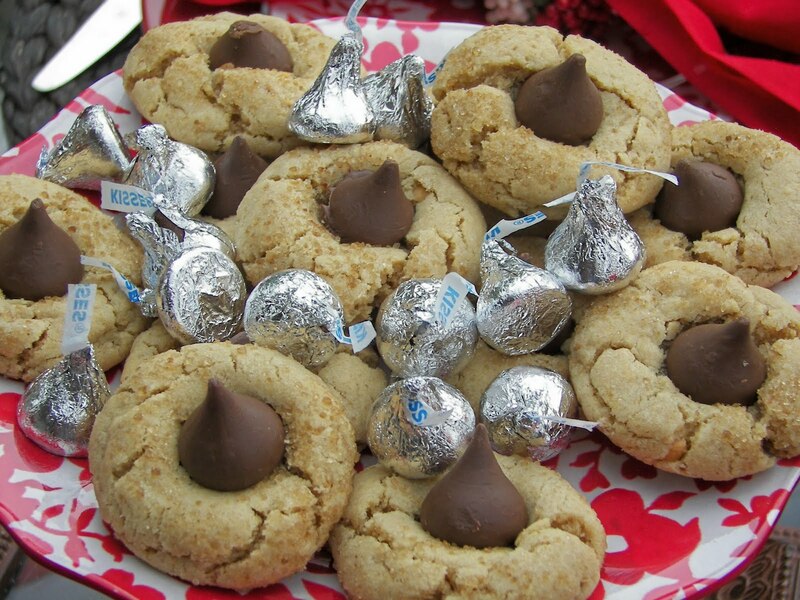 I also love Hershey kisses whether in cookies or not, lol. Great post. Red is my favorite color. Lovin you table setting. .......and I wish you a grand holiday celebration too! I love the dishes.. and the water cooler.. it's awesome. Great job! I love red. Such a pretty table. I really like your drink dispenser. Happy 4th! The red in your tablescape just pops! Love those floral red/white plates - I sure could have used them as well as those gorgeous glasses in my tablescape this week! Very, very pretty!!! I love these cookies. My mom used to make them as a special treat when I was little. Red is my favorite color and these are some of my favorite cookies. Nice X. A lovely and tasty take on X! Beautiful setting! I have been eyeing the blue and white plates at Walmart similar to your red and white ones! They are adorable! Your treats look scrumptious! Happy 4th! And I love your link about kisses...in general! What a festive and happy tablescape. The red and white plates just make it pop. And putting blueberries in the lemon water is an Xcellent tough for sure! I hope your weekend is Xstra special! Visiting you is one of my favorite stops each week! Thank you for making this meme Xceptional! I wish I had your beautiful goblets for my table this week:):) Your table looks beautiful and yes, I would love a cookie and some water! The dispenser is terrific! Have a great 4th! O good one! Had forgotten about "XOXO". Beautiful photos and eXcellent recipe! Oh my goodness. It's only 8am here and I'm already salivating. These are our FAVORITE cookies around here. Great idea for the letter "X". Oh...and might I add...beautiful table scape. I am in awe of people who have an eye for decorating. I love all the red. I've seen the Walmart plates and love the way you've used them. The cookies look great-I'll have to try that recipe. Great tablescape and lovely outdoor setting. I've been wanting to try those cookies - thanks for the recipe. Those red glasses are just wonderful! I love all your red and white, but those glasses -- fabulous! The cookies make for a sweet table! Beautiful setting, your cookies mmmmm...... so yummy! Beautifully festive table and those cookies look divine..
Beautiful goblets, pretty plates - they go great together and like your take on the bandana napkins! Those cookies are scrumptious - I've made them several times, too! 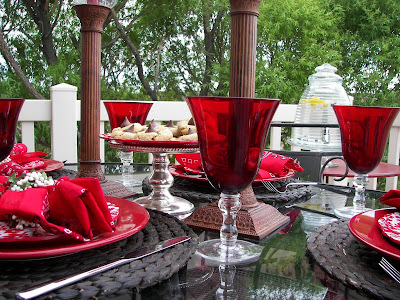 Joni, love your red and white table, especially the red stemware...gorgeous! What a valuable and vibrant red show this glasses. That add a special touch to the whole table. I love those red plates, too. Every detail is perfect. Love that water dispenser, that looks so refreshing. Have a nice 4th of July. What a beautiful red and white table! just gorgeous! Joni, This is a beautiful upscale 4th of July! 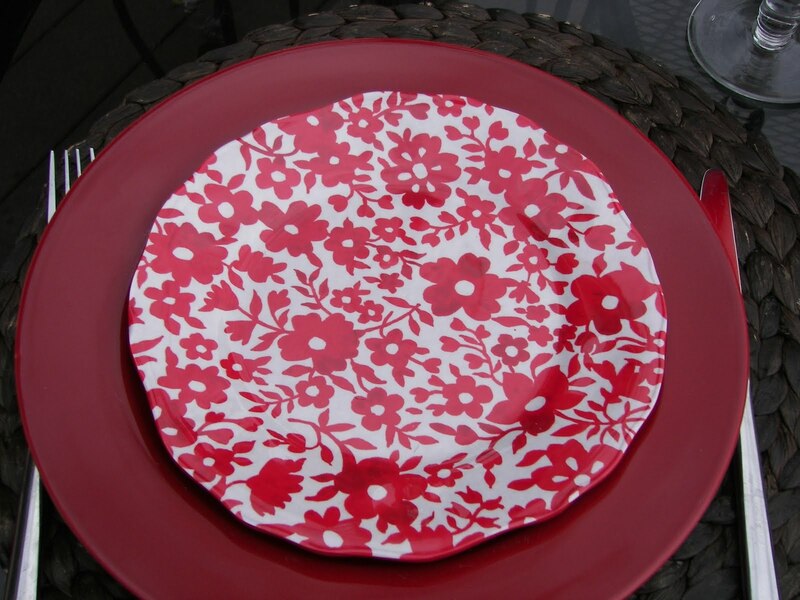 I love your red floral plate from WalMart. Great eye! 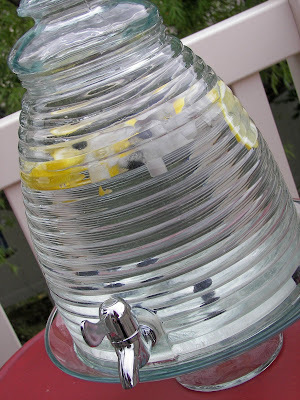 I have a "thing" for bees~ your bee skep beverage jug is a thing of beauty! 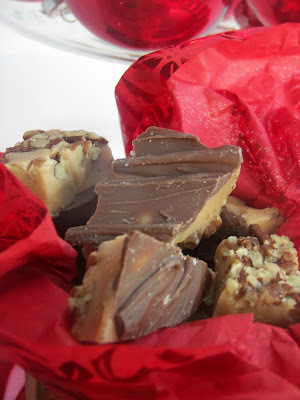 And thanks for the recipe, chocolate and peanut butter are perfect together! Yummy! 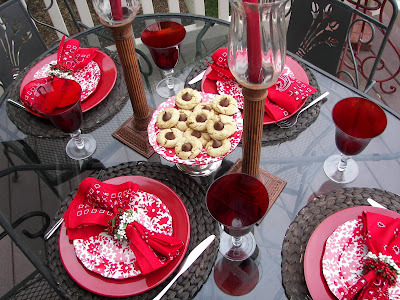 i love those cookies...what a great idea for X...beautiful tablescape too! I make these every year at Christmas - so yummy! Beautiful table as always! Oh yummy! 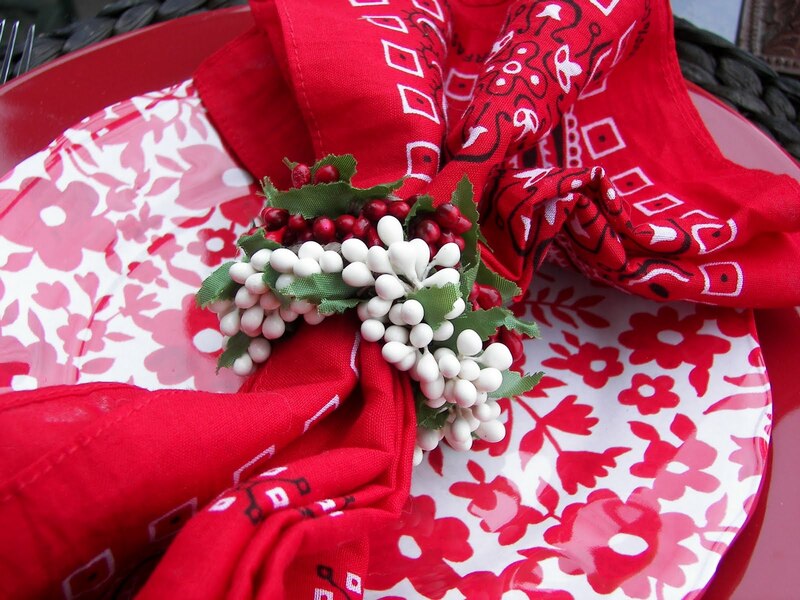 Love your red and white table; I've been meaning to get some of those napkin rings myself! That lemon water looks so refreshing. What a great idea, and the blueberries are a nice touch, too! Beautiful red plates. It's all so lovely, Happy 4th weekend. Love your tablescape! I have been looking at those dishes everytime I'm in Walmart...:)Your drink dispenser is great, love that it looks like a beehive! 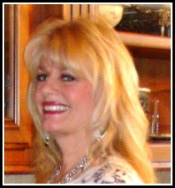 Thank you for stopping by my blog and for the nice comments on my flag holder. I'll post a tutorial soon. breathless with red visions...OOOO just too lovely for words that! you are after any muse's heart with that display, and then add chocolate kisses...X! please, i am a goner!!! Isn't Ms Jenny's class the most fun? Joni! !I absolutely love love this tablescape! Red is my all time favorite color as you well know. (us and our red sofas) The napkin rings look beautiful on your plates! I am dying about the plates being from Wal-mart...I haven't seen those at mine. Gorgeous red goblets too! I wish I was there! You are the best for highlighting my napkin rings. I am on my way to SLC as I write this! We will be there for a week! Can't wait to snuggle up my grandkids :) Have a happy happy 4th! Such a pretty tablescape...love the red goblets, plates and the beverage dispenser. Have a great 4th! Joni...I just did a post about you and this tablescape and your recipe. Come take a peek. What a eXcellent post! The cookie recipe is now in my file. And your scrumptious photos of your table scape make my mouth water! Thanks! Love your pretty reds. I have those napkin rings in blue and pink - aren't they the best? Happy 4th from my table to yours! That was a delight. I love the way you formed an X with the pleating of the napkins. All that red was so sparkly and bright, you put a smile on my face.